Kia Motors America is recalling 3,099 model year 2015-2016 K900 vehicles manufactured December 18, 2013 to January 11, 2016 and equipped with LED headlights. When the multi-function light switch is used in "AUTO" mode, electrical resistance may build in the switch and result in the headlights flickering or turning off during driving. Loss of headlight illumination may reduce visibility and increase the risk of a crash. Kia will notify owners, and dealers will replace the multi-function switch, free of charge. The recall is expected to begin May 27, 2016. 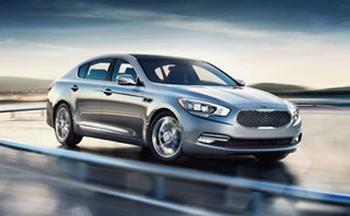 Owners may contact Kia customer service at 1-800-333-4542. Kia's number for this recall is SC130.